Decorative sticker of a typical waitress from the 50s. 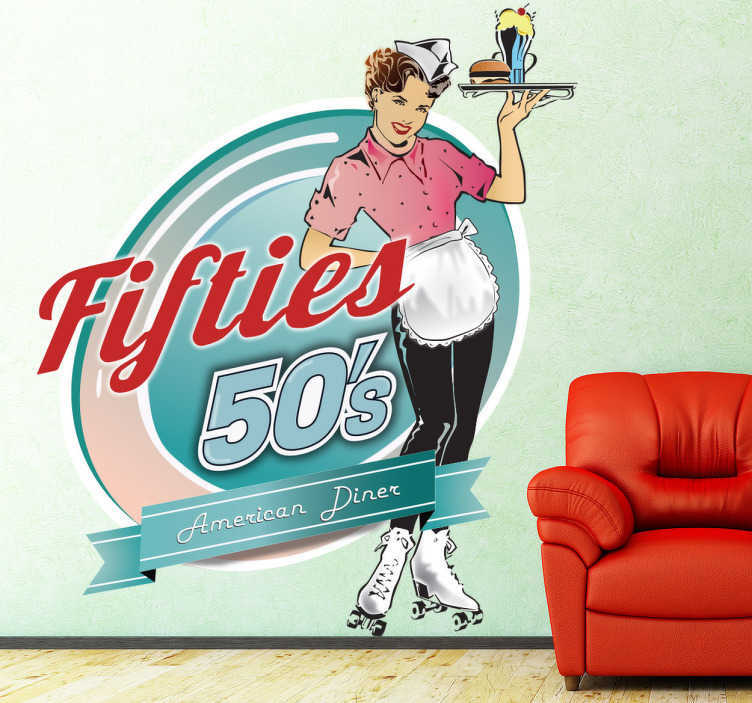 This vintage decal from our retro wall stickers set is perfect for lovers of this style. You will be able to decorate your home or business with style, original and unique way. Create some nostalgia for those who see this magnificent wall decal and show your style. A sticker that is perfectly adapted to any smooth surface of your walls and make a very unique and exclusive place.